The MCU's most powerful Avenger arrives. 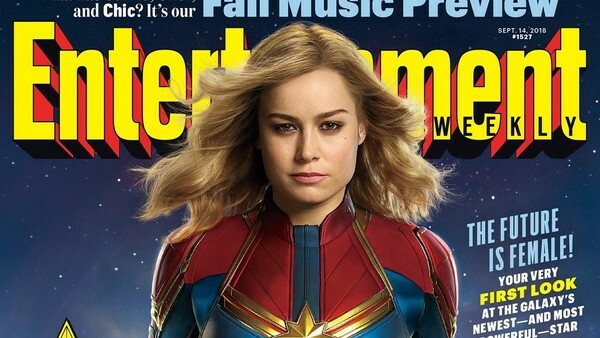 With Captain Marvel due to hit cinemas in around six months, Marvel Studios is kicking off their PR push for the movie with a lavish, extensively detailed Entertainment Weekly spread. 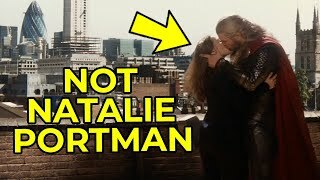 Though EW photoshoots tend to veer on the side of corny, thankfully aside from the cover image of Brie Larson as Captain Marvel the pictures were all taken on the movie's set. That's certainly preferable to EW's usual over-staged, over-lit images shot on a green-screen specifically for the magazine. The feature provides detailed looks at not only Danvers but also many of her comrades and, of course, her primary foe. We get an idea of what sort of style and tone the film is shooting for, and how it ambitiously attempts to create a storied pre-history for the Marvel Cinematic Universe.